National Voter Registration Day is the closest thing to a national voting holiday that we have in this country. So how can we honor and celebrate this day? First and foremost, make sure you are registered to vote at your current address by going to MyVote.WI.gov/RegisterToVote, and entering your name and date of birth. Online. Eligible voters in Wisconsin who have a valid Wisconsin driver license or a Wisconsin DMV-issued ID can now register online at MyVote.WI.gov up to 20 days before the election in which they are planning to vote. By Mail. You can start your voter registration form online at MyVote.WI.gov – then print, sign and mail it to your municipal clerk along with a proof of residence (POR) document. In your Municipal Clerk’s Office. You can also register in-person in your municipal clerk’s office up until the 5pm (or close of business) on the Friday before the election in which you are planning to vote. You'll need to bring a proof of residence document to complete your registration (this document can be shown electronically). And don't forget to make sure that every family member, friend – anyone you know who is eligible to vote – is registered, too. Do you need help registering to vote or more information about how to help others register? 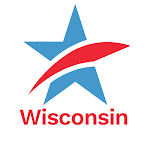 Our partners at the League of Women Voters of Wisconsin have you covered – if you're looking for a registration event, local Leagues are holding voter registration events in areas across the state today and are happy to help! You can also find National Voter Registration events near you by going here and entering your zip code. A list of Milwaukee County events is here. Remember, National Voter Registration Day isn't about paying attention for just one day, but rather, it is a day meant to highlight an important step that all eligible voters must take to preserve our democracy. Register to vote, and help as many people as you can do the same. Celebrate National Voter Registration DayTweet this!